This article describes a needs analysis case study to inform the instructional design of a multinational capacity building project in humanitarian logistics. Survey responses from 106 foreign partner non-governmental organizations (NGOs) of international non-governmental organizations (INGOs) were collected to gain insights into organizations’ access to technology, levels of confidence in five logistics process areas, the strengths of previous capacity building projects, and organizational strategies and methods for capacity building. 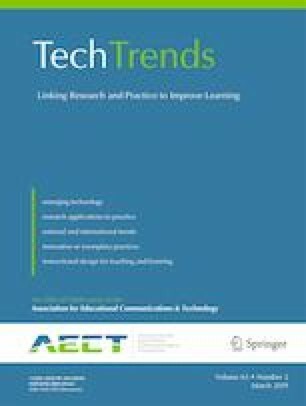 Results show that staff have access to mobile phones and computers and prefer to use the latter for learning. It was also found that not all NGOs implemented all the common logistics processes of an emergency response. Further, respondents preferred participatory approaches to scenario-based training over lecture-style presentations. Instructional design recommendations based on these results are shared as well as lessons learned which may help instructional designers working for multinational organizations design their needs analysis projects. This project was funded by a consortium of ten INGOs and the European Union office for civil protection and humanitarian aid operations (ECHO). The consortium members were: Concern Worldwide, MercyCorps US, Save the Children International, Tearfund, World Vision International, and five Oxfam affiliates—Oxfam Great Britain, Oxfam Novib, Intermon Oxfam, Oxfam US, and Oxfam Australia. All authors were involved in an instructional design role in this project as employees of the Supply and Logistics Department of Oxfam Great Britain. What country is your organization based in? Questions about the activities the respondent’s organization undertakes (under the five process areas) and their confidence in their ability to do so. Imagine a humanitarian emergency happens tomorrow in your area. How confident are you that your organization could manage the procurement/ warehousing/ fleet/ distribution/ assets needed? Questions about positive and negative experiences with capacity building, effect on staff retention and organizational knowledge sharing. Think about training and capacity building your organization has experienced in the past. What was the most useful and why? Questions about access to computers with CD-ROM and internet access and willingness to use them for training. Do staff in your organization have access to an internet-connected computer (a computer which allows you to view websites and browse the internet}? Questions about access to mobile devices with text-message and internet capability and willingness to use them for training. Some capacity building uses text messages for training. If you have access to a mobile phone which can send/receive text messages, would you and your colleagues use it for learning? Questions relating to possible delivery methods for capacity building and willingness to participate. Imagine you are on a training programme that lasts for six months. How many hours a week would you be willing to spend on training (such as taking e-learning courses, phone calls, visits to other organisations)? Questions about where respondents look for information, focusing on participation in online knowledge sharing. Imagine you have a logistics task to complete and you don’t know how to do it. Where do you go for information? A single question asking for any other information that may help us improve capacity building. The project team is trying to make capacity building better. What else can you tell us that might help us to do so? Questions about whether we can contact respondents in future and opt-in to project communications. Would you be willing to participate in a short interview, if we had any further questions? Thomas, A. S. & Kopczak, L. R. (2005). From logistics to supply chain management: The Path forward in the humanitarian sector. [White paper]. San Francisco: Fritz Institute. Retrieved from http://www.fritzinstitute.org/pdfs/whitepaper/fromlogisticsto.pdf. Accessed 2 July 2018. UNISDR. (2017). Terminology. Retrieved from https://www.unisdr.org/we/inform/terminology. Accessed 2 July 2018.